The Emery Village secondary school, St. Basil-the-Great College, operates a Specialist High Skills Major (SHSM) that gives students the opportunity to customize their secondary school education to suit their interests and develop specialized knowledge and skills with a specific focus, whether Business or Sports. The program offers students the opportunity to specialize in program areas that are of interest to them and that provide them with the skills necessary for success in a variety of post-secondary, apprenticeship or workplace settings. The SHSM program is available to all students in Grade 11 or 12, and in any post-secondary pathway, whether university, college, apprenticeship training or the workplace. The diploma program sees students complete nine credits, including an English credit, two math credits, two co-op credits and four within their chosen focus area. Students earn sector-recognized certification and career relevant training, and are able to identify, explore and refine their career goals while making informed decisions about their future. The program also provides students with a flexible opportunity, as they can adjust their chosen pathway . As well, they have the opportunity to earn at least seven industry-recognized certifications, paid for by the Ministry of Education, including standard First Aid, WHMIS, AED training and more. In Grade 10, students express an interest and apply to the program during their course selection. In Grade 11 they will begin taking some appropriate course and earn their sector-recognized certifications. And in Grade 12, they will complete all the requirements in order to graduate with their SHSM diploma. 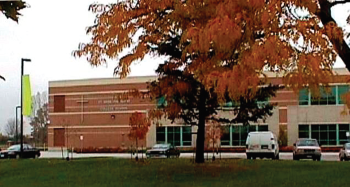 St. Basil-the-Great College is a secondary school located at 20 Starview Lane in North York.